We ask that these meals come hot and ready! We also ask that if you're able to provide paper goods (paper plates, paper towels, cups), and a drink that you let us know that when we contact you with a time and location! Thank you! If you are delivering on Sunday's, the drop off time will be at 11:30 a.m. If you are delivering on Thursday's the drop off time will be 6:00 p.m. We are honored if you are willing to cook and cover the cost for your meal. If you need help supplementing the cost, just let us know! Our mission statement: We are a ministry center committed to PROTECT and EMPOWER those in our community living in distress. What would it look like if we immersed ourselves in a community to help meet tangible needs? When we started the West Nashville Dream Center, our desire was to do ministry differently. When we began serving our community for one hour a week in the Spring of 2013, we knew there was a need for hope in a neighborhood plagued with drugs, poverty, and oppression. Soon it became clear the one hour we were serving wasn’t enough compared to the 168 hours of life our community was navigating on a weekly basis. While most of us are lucky enough to have support as we steer through life, if you walk 3 blocks in any direction of the Dream Center, you will see how 168 hours feels a lot longer. We have realized in order to transform people’s hearts, lives, and their neighborhood, we have to be present during those 168 hours. It is that sustained, consistent presence that drives lasting change. That’s why currently, multiple ministries are taking place 7 days a week. We serve and support our community – single moms, children, and families through supplemental resources that meet physical, emotional, and spiritual needs while offering family strengthening tools and social activities for all ages. Our purpose is carried out by passionate partners who give of their time volunteering and/or their resources through funding. 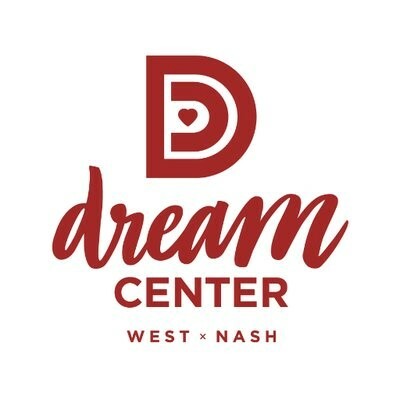 There is a place for you at the West Nashville Dream Center and we invite you to be part of our fight for Dreams Inspired and Hope Renewed.